NEW YORK, April 15, 2019 /PRNewswire/ -- After 10 incredible years at 155 Varick Street, City Winery has just signed a 25-year lease with RXR/Young Woo for a 32,000-sq. ft. space at Pier 57 in Hudson River Park. The Pier will be anchored by Google, which will occupy a majority of the art deco former Marine and Aviation Pier. The Pier is listed on the National and State Registers of Historic Places and occupies a highly visible location in the park at West 15th Street, near Chelsea Market, the Meatpacking District, the High Line and the recently opened Whitney Museum. "We are excited and honored to have found a home in Hudson River Park and to be amongst so many architecturally significant buildings in this area," says Michael Dorf, City Winery Founder and CEO. Pier 57 is going to be an amazing adaptive reuse with its own market, Google, and an 80,000-sq. ft. rooftop public park. We are so happy to be part of this unique space and instantly felt a connection to it. To bring our winemaking, food, and music to this market complex feels like a karmic honor." "City Winery is loved both in the community and across the city by New Yorkers who know there's nowhere better to see a concert while enjoying locally produced food and wine," said Madelyn Wils, President and CEO of Hudson River Park Trust. "As part of a larger marketplace, City Winery will add to the amenities and cultural opportunities available at Pier 57, and will offer additional indoor public space alongside Google." 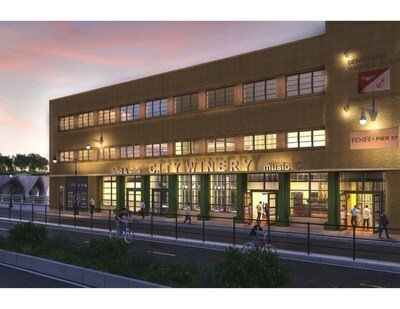 Scott Rechler, CEO and Chairman of RXR Realty, said this of the deal: "RXR and Young Woo are thrilled to be welcoming City Winery, a true New York institution, to Pier 57. 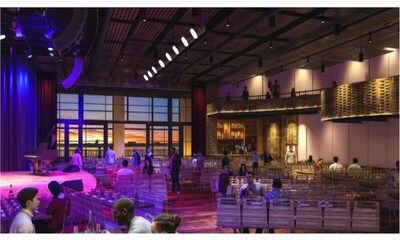 City Winery's combination of maker, food and beverage and cultural spaces will not only advance the long-standing vision of the Pier as a premier public destination in Hudson River Park, but will also complement and enhance the other food-related uses that are planned for the balance of the Pier's retail areas. We are confident that, in its new location at Pier 57, City Winery will, for many years to come, continue to play the leading role in the City's culinary and cultural scene that it has played at its current location in Lower Manhattan." The deal was brokered by Peter Braus, Lee & Associates.